Having overcome lots of difficulties such as the adverse weather conditions, the whole team worked with SAIC and the third-party inspection agency to make sure all the cars were shipped successfully and timely. Besides, Qiao Gong also led the whole team members visited production base of SAIC. The staff of SAIC introduced their company background and development history to vice president Qiao Gong and the entourage. After visiting and studying, the entourage strengthened their confidence to work with SAIC and to develop a broader market on exporting SAIC’s independent brand MG passenger cars. CNAICO and SAIC Motor established the international business strategic partnership in 2010. 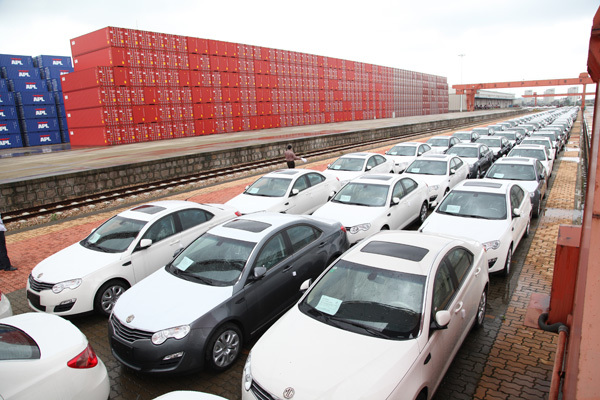 Since then CNAICO had already made a huge progress on exporting MG passenger cars to Middle East, Caribbean, Hong Kong, Macau, and Southeast Asia.